Get free tips from one of our marketing experts. Effective marketers should be able to tie every single lead, customer and dollar back to the marketing initiative that created them. Are your analytics revealing real data about the success (or failure) of your marketing efforts? Are you measuring the right metrics? How can you dig even deeper to find out what works and what doesn't? 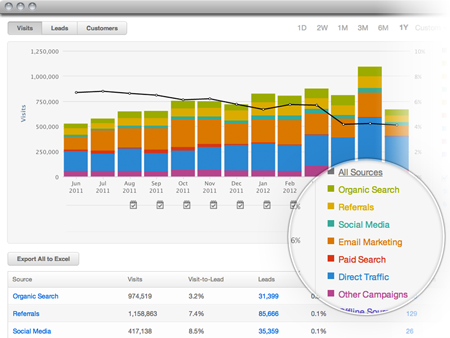 Get advice from one of our marketing experts about your analytics. We'll take a look at your current measurement tactics, and offer tips and suggestions for how to get more out of your analytics. Request your free assessment to the right, and let's get started!